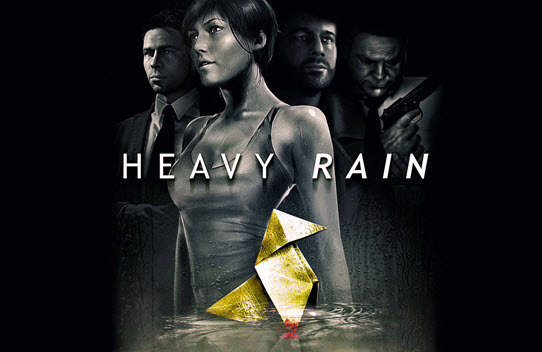 Games Like Heavy Rain: Mystery Thrillers '+g+"
Check Our list of recommendations for interactive and film noir thriller games like Heavy Rain which offers similar game play. Heavy Rain is an film noir thriller game developed by Quantic Dream and published by Sony Entertainment exclusive exclusively for the PlayStation 3. The player controls four main characters to investigate the mystery of serial killer who murders children and leaves an origami crane in their palm. The game has a number of different endings which changes with the player's decisions and actions during the game. Don't forget to mention if we miss any as we keep on updating this list. L.A. Noire is an action-adventure detective game developed by Team Bondi and published by Rockstar Games for PC, PlayStation 3 and Xbox 360 in the year 2011. The game is set in late 1940s where the player controls Cole Phelps an Los Angeles Police Department (LAPD) officer as he rises through the ranks by solving cases and arresting criminals across five departments. The Walking Dead is an episodic graphic adventure game based on Robert Kirkman's The Walking Dead comic book series. The game takes place in the same fictional world, with events occurring shortly after the onset of the zombie apocalypse in Georgia. The player plays as protagonist Lee Everett, who helps to rescue and subsequently care for a young girl named Clementine. Beyond: Two Souls is an interactive drama action-adventure video game developed by Quantic Dream for PlayStation 3. It tells an interesting and emotional story of Jodie Holmes, a girl born with an connection to the soul of Aiden, a being trapped between life and death which grants her incredible powers like telekinesis and physical possession. Fahrenheit (or Indigo Prophecy, as it is known in North America) is a cinematic action-adventure video game developed by Quantic Dream. The gameplay focuses mainly on keeping a cinematic feel throughout the game. The main characters of the story Lucas Kane must uncover the supernatural forces behind the series of mysterious murders. Alan Wake is a psychological horror game developed by Remedy Entertainment and published by Microsoft Game Studios for PC and Xbox 360. The story follows famous novelist Alan Wake as he tries to uncover the mystery behind his wife Alice's disappearance at Cauldron Lake during a vacation in the small town of Bright Falls. Red Johnson’s Chronicles,....if you can think of more, then don't forget to mention it in comments.